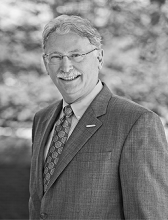 Dr. Gary LaFree was the Founding Director of START at the University of Maryland and is currently the Chair of the Department of Criminology and Criminal Justice. He received his Ph.D. in sociology from Indiana University in 1979. LaFree is a fellow of the American Society of Criminology (ASC) and served as President of the ASC in 2005 to 2006. He has also served on the Executive Committee of the National Academy of Sciences (NAS) Crime, Law and Justice Committee and NAS’s Division of Behavioral and Economic Sciences and Education. He was named a Distinguished Scholar Teacher at the University of Maryland in 2012. Much of LaFree's research is related to understanding criminal violence, and he is the senior member of the team that created and now maintains the Global Terrorism Database.